So when I was tagged before, I said that it was going to be my first and only time to participate in the whole tagging thing, because I really can’t dedicate the time that these posts deserve. But my friend Kate at Midnight Book Girl tagged me, and since she’s my friend, I really wanted to answer her questions! So once again, I won’t be tagging anyone, and this time I’m also going to opt out on the whole asking questions part, too. Sorry guys, I know this seems half-assed, but I really just want to answer Kate’s questions, and that’s all I really have time for right now! 1. What song would you pick for the soundtrack of the book you’re currently reading? 2. What drink do you order most at Starbucks? I don’t think I’ve ever been inside a Starbucks. I’m not a coffee drinker. I love the smell of coffee, and I love coffee shops, but I always order hot chocolate when I go to a coffee shop. And for some reason I’ve never been to a Starbucks. 3. What literary character would you kiss, which one would you marry and which one would you push off a cliff? These don’t all have to be male characters, do they? Because the one I would push off a cliff would either be Lissa from Shut Out (review to come soon on that one – it was not for me) or Bella from Twilight. I enjoyed the Twilight books – they were very entertaining, but Bella drove me nuts, especially in New Moon. As for the ones I would kiss and marry? Kiss would probably be Four from Divergent and marry would be Cricket from Lola and the Boy Next Door. Those are the only two male characters that I can ever think of that I’m really attracted to. Although I might marry Harry Potter or Ron Weasley, but I always think of them as years younger than me because of the movies, even though in the books Harry was born the same year I was! 4. Forget Zombies vs. Unicorns. Are you Team Robots or Team Mermaid? Hmm, I LOVE Science Fiction so my first reaction was “Team Robots all the way!” But robots are normally not the nicest of characters, and often end up wrecking civilizations. And I haven’t read any books about mermaids, although I have many mermaid books on my TBR list. And my favorite Disney movie is The Little Mermaid. So this one is a toughie. If we’re deciding which one I’d rather be face to face with, I’d say Team Mermaids. If we’re talking about which books to read, Team Robots. 5. What’s the last movie you saw in the theater? I think that was One Day. At least, I don’t think I’ve seen anything in the theater since then. I saw it with some friends in August or September I think… I love to see movies in the theater but since I have a young son, it’s not easy to get a night where both my husband and I can go out. But I’m looking forward to The Hunger Games next month! We’ve already got our tickets for that! 6. If they were to make a movie out of your life, who would you want play your love interest? Ian Somerhalder. Man, that boy is gorgeous! 7. If you could kidnap an author, which one would it be and what book would you have them write and/or re-write? I’d want to kidnap J.K. Rowling, but only to get her to tell me more about the Harry Potter world, and to tell me how much she knew of everything going in. I’d like to re-live her process, like when she figured out certain things and when other things simply fell into place. She’s a genius, as far as I’m concerned. 8. How many books are in your TBR pile? I have 7 in the pile right now, but there are about 100 other books on my shelves that I haven’t read, so those will be making their way to the pile eventually. 9. What’s the worst job you’ve ever had? I’ve had a lot of jobs, and several of them were great, but they all had their drawbacks. I’d say the worst one was working in a pharmacy. The work wasn’t horrible, but the people were awful. I know they were sick and frustrated with their insurance, but they really didn’t have to take all that out on me! I don’t own it, but I love Apples to Apples! I really need to buy it! Oh, now I really really really want to go! But I just don’t think I can afford it this year, because we’re going on a cruise soon after BEA. And I’d either have to take my son (which means my husband would also have to go so that someone could watch him) or my husband would have to take time off from work to stay at home with him. I just don’t see it being doable this year, but I definitely want to go next year! Thanks, Kate, these were some great questions! 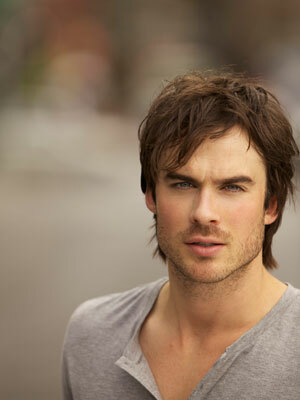 Oooo Ian Somerhalder, great pick! He is smokin' hot, and if you can believe it, even MORE attractive in person. I ran into him during Comic-con on the street and even though I didn't think it was possible…yeah definitely better in front of you. And Apples to Apples is so much fun! It's mine and my friend's go-to game. Have you tried Sour Apples to Apples? Also fun! OMG you met Ian Somerhalder?!?!? I would probably melt in the street or otherwise completely embarrass myself. Did you get a picture?????? "4. Forget Zombies vs. Unicorns. Are you Team Robots or Team Mermaid? Hmm, I LOVE Science Fiction so my first reaction was "Team Robots all the way!" But robots are normally not the nicest of characters, and often end up wrecking civilizations." -excuse me! What about Number 5 from Short Circuit? He was adorable! I've been tagged twice now and need to get moving on my post. It prob. won't be this week though since I have a short term sub job. Yay grading! Ian Somerhalder (or as I call him Ian Smolder) is soooooo sooooooo smoking hot. Okay, so it's obvious that Ian Somerhalder is a hottie much beloved in the blogging world. ;) And I still haven't seen One Day- I loved the book and I'm just gun shy about the movie. I've got my Hunger Games tickets too! I am so excited! 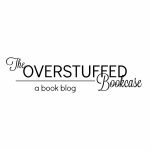 I guess I really need to read Divergent and Lola and the Boy Next Door, although I do have Anna and the French Kiss on my tbr shelf. Thanks for taking the time to answer, Andrea, someday we'll all play Apples to Apples together!